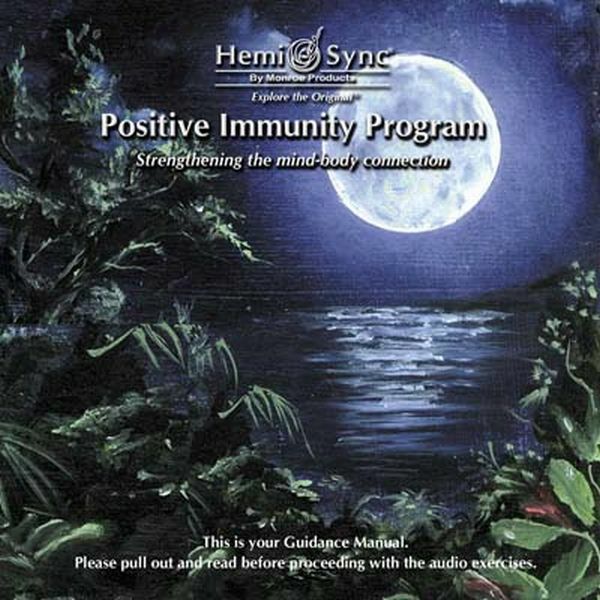 The Positive Immunity Program is designed to reinforce the mind-body connection in order to strengthen the physical and mental components of the total healing process. The goal is to train individuals to boost and maintain their own natural immune system by using the unique Hemi-Sync® technology. The program facilitates deep relaxation and a sense of well-being while training the participant to recognize, understand, and use expanded states of consciousness to direct energy for balancing and healing. The Human Plus® method is also introduced, training the participant to use encoding cues to create, at will, a desired mind-body state. 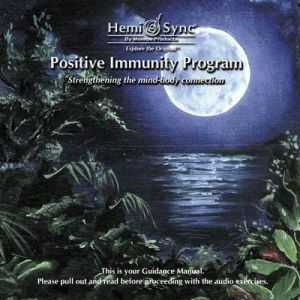 The Positive Immunity Program has been reported to be helpful for fibromyalgia, chronic fatigue syndrome, HIV and other immune disorders, as well as for maintaining wellness. A detailed Guidance Manual and 11 exercises (9 CDs) are included: Orientation, Advanced Focus™ 10, Living Body Map, Intro to Access Channel, Let Go, Restorative Sleep, Deep Sleep, Intro To Focus 12, Free Flow 12, Journey Through The TCells, and Color Breathing. The target CD series with the Hemi-Sync® technology, designed for support the immune system and health. The immune system, General health.